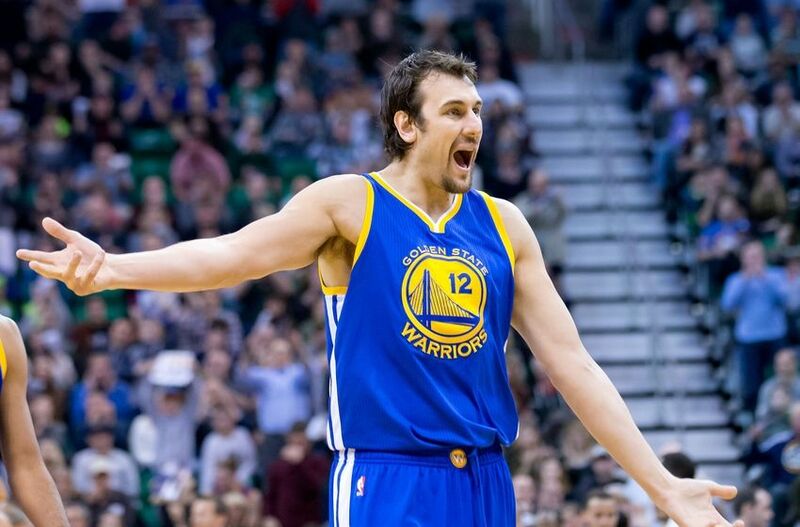 The Golden State Warriors entered last night’s matchup against the Utah Jazz as the clear favorites to win given their superior record, their experience, and the higher amount of talent up and down their roster. However, the Jazz made the Warriors look like the underdogs last night, as the Jazz led the Warriors for the entire game (which was the first time this season that the Warriors never led in a game), and they ultimately beat the Warriors 110-100. On Thursday, the Western Conference All-Star reserves were announced, and Golden State Warriors fans were delighted to see Klay Thompson‘s name on that list. 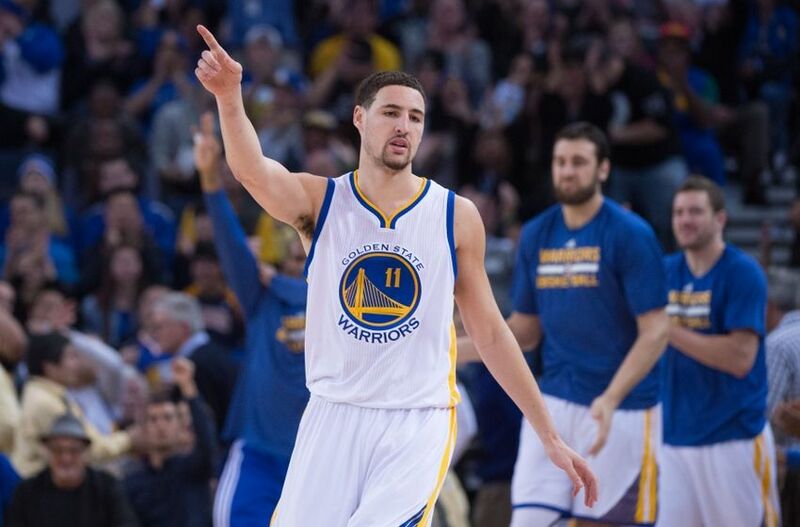 This is Thompson’s first All-Star selection, and he, along with fellow Splash Brother Stephen Curry, will be representing the Warriors in New York City at the 2015 All-Star Game. True or false? The San Francisco 49ers have only one elite player on their roster. True or false? 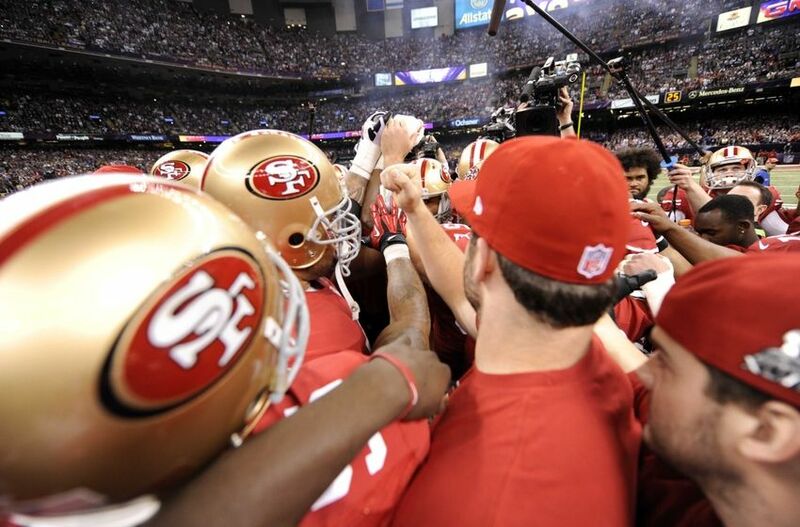 The 49ers were six above-average players away from contending for the Super Bowl this season. According to Pro Football Focus, both of these statements are true. Pro Football Focus recently released a report, which included information about each NFL team’s roster, ratings of their players, and how close each NFL team was to being a Super Bowl contender this year. 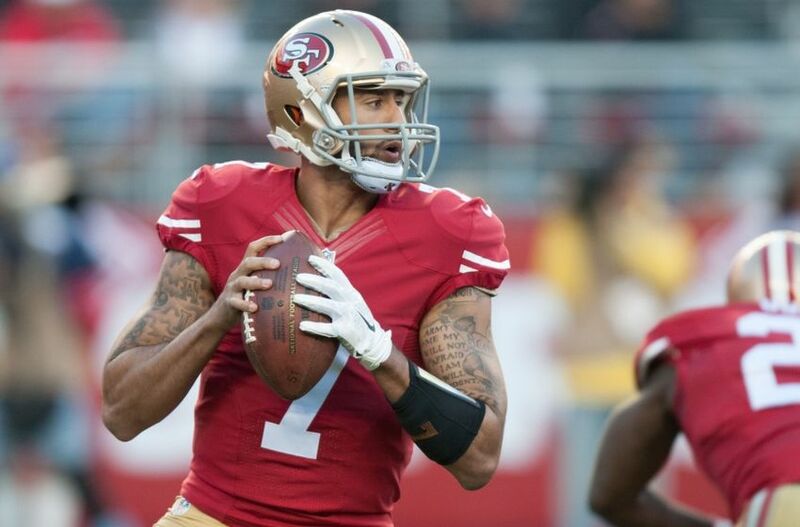 As the NFL world focuses on the Super Bowl on Sunday in Arizona, San Francisco 49ers fans can also look towards Arizona in order to see the progression of the face of the team, Colin Kaepernick. Jan 23, 2015; Oakland, CA, USA; Golden State Warriors guard Stephen Curry (30) celebrates Klay Thompson (11) (not pictured) 50th point against the Sacramento Kings in the second half of their NBA basketball game at Oracle Arena. Mandatory Credit: Lance Iversen-USA TODAY Sports. Thompson set a record 52 points in their win over the kings. 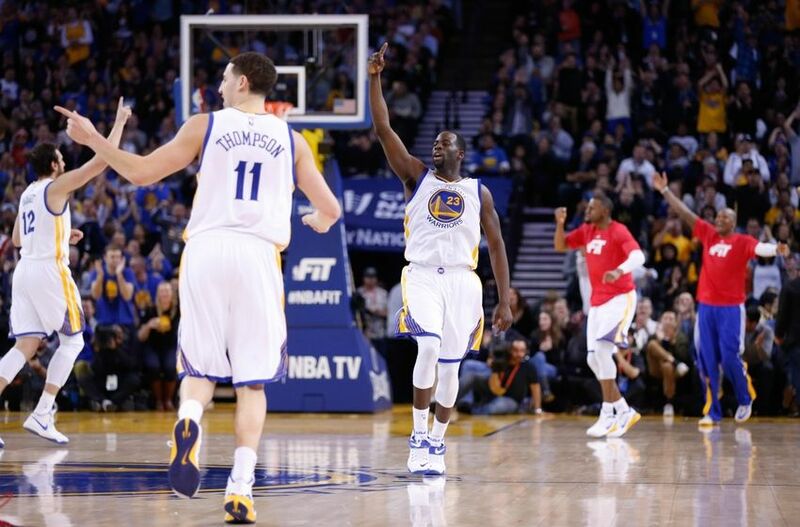 The Golden State Warriors went 4-0 in their games this past week. All they do is win. In those four games, the Warriors slaughtered the Denver Nuggets 122-79, they dominated the Houston Rockets 126-113, they beat the Sacramento Kings behind a historic, record-breaking performance from Klay Thompson by a final score of 126-101, and lastly, the Warriors held on to beat the Boston Celtics 114-111. All of these games were at Oracle Arena. 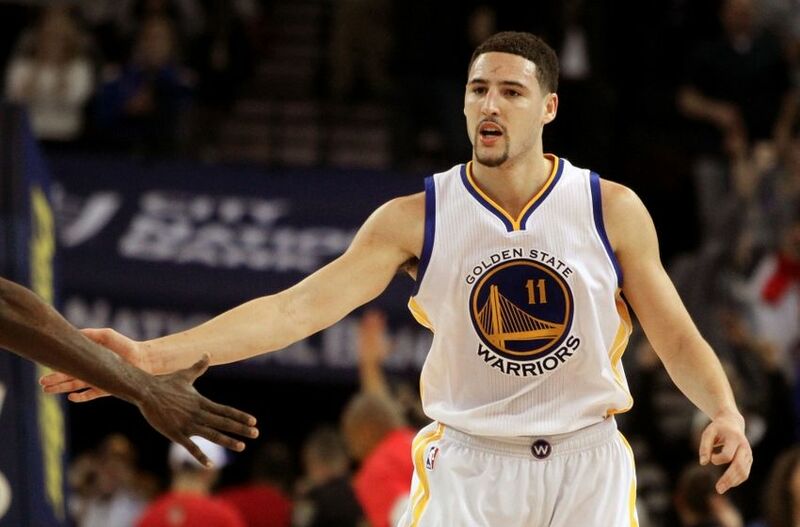 Jan 23, 2015; Oakland, CA, USA; Golden State Warriors guard Klay Thompson (11) is greeted after scoring a three point shot against the Sacramento Kings in the second half of their NBA basketball game at Oracle Arena. Mandatory Credit: Lance Iversen-USA TODAY Sports. Thompson set a record 52 points in their win over the kings. The Golden State Warriors have gotten off to a historic start to the 2014-15 NBA season, and their starting shooting guard, Klay Thompson, etched his name in the record books with an unbelievable performance on Friday night against the Sacramento Kings. 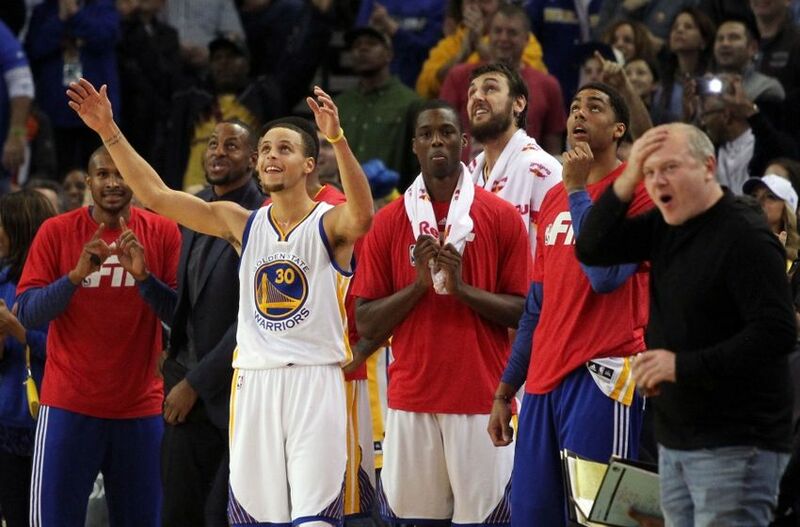 The Golden State Warriors have the best record in the NBA at 34-6. They’ve surprised and impressed during their historic start to the season. The Warriors have also been completely dominant at home so far during the 2014-15 season. Last season, the Warriors greatly underachieved at home, especially considering the fact that the Warriors have the most energetic, influential home crowd in the NBA.